I’m going to toot my own horn for a hot second. At some point in the last 2.3 years I have become one of those moms who can look in her pantry and come up with an activity. I don’t know how it happened, but it is one of my greatest accomplishments. This has become a particularly great skill for days when Dylan is practically bouncing off the walls but we can’t go outside because it’s too hot, down pouring or she is sick as a dog. This week’s saving activity? Magic milk. Is it a little messy? Yes. Is it easy to clean up? Yes. It’s a win for everyone involved and it takes very little effort. 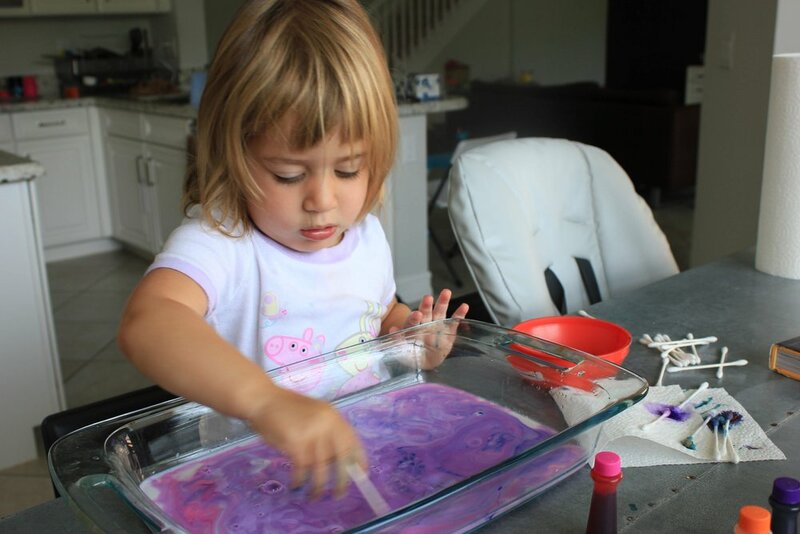 All you need is some milk, dish soap, q-tips, food coloring and a flat container. There isn’t even any measuring you need to do. Simply poor out your desired amount of milk (you don’t need a ton), put a few drops of food coloring in it and then dip your q-tips in the dish soap followed by the milk. Watch the colors burst. 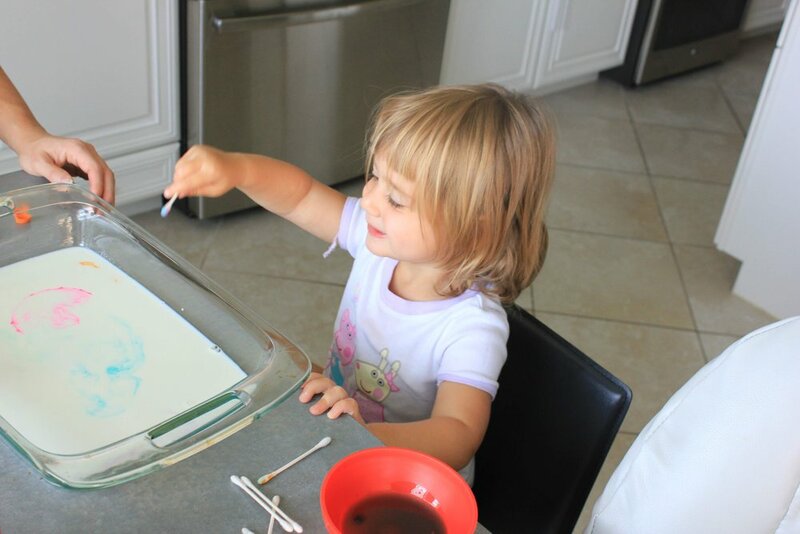 You can mix colors together, create a rainbow, draw letters or numbers. Your options are endless.